Being the reckoned names in the industry, we offer wide range of Multitier Racks that are quality assured in nature and are durable. Our entire product range is dimensionally accurate in nature and is delivered in standard sizes and grades. Multitier Racks have smooth surface finishing and are delivered in standard configurations. 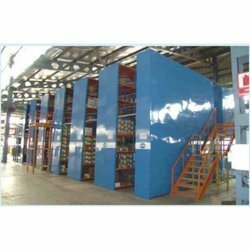 We are Manufacturer of Multi Tier Storage System which is generally used for storage and order of goods, bins, cartons. This system helps to increase the storage capacity by making full use of two ties system. we serve these products in market in different sizes and shapes at Good prices. we serve these products in market in different type of color such as Blue, orange, Grey. 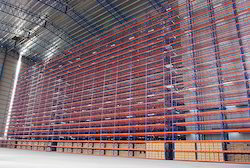 Ahlada Industries Private Limited is involved in manufacturing of Multi Tier Racking for robust features and durability features. Hence here we offer the clients with Storage Systems with larger space for storage that can also be customize also and longer service life. Also, our products are highly durable. We offer these products at very affordable price. - Battery type tow tier cages. - Excellent feeding and flooring space. - Comfortable brooder growth environment. - Available in all sizes as per clients' requirement. Available Color: Blue, Red etc.